﻿Hi all! Hope you all had a peaceful weekend. Ours was nice. I am going to cheat and cover Saturday and Sunday with one post, so that I will be caught up. I hope no one minds! Saturday I got up about 8:00. I piddled around with the computer and made coffee. About 10, I went to the post offices to check for rent and cow checks and the bank to make a deposit. Pappy wanted to me look to see if his cow sale check was here, because there will be no mail Monday. He got it and we were very pleased! We got $1,400 for our bull, like I said yesterday. But the two calves we took also got $1,200. That was a dollar a pound! That was really good. Next month, I'm going to sell a bunch of sheep. I do that every year to pay for our Christmas. It was half price day at the thrift store, so I stopped by there, too, of course. I had a shirt for Pappy to take back for credit because it was the wrong size. I traded it for a deer feeder. This is a stainless steel box with a door that can be pushed open. The animal can feed at will. It was marked $6.50, and the shirt I took back was $5.50, so they said we'd do an even trade. I got a couple of other things, but for the life of me, I can't remember what. No idea at the moment. Oh, well. Pappy liked the feeder. After the thrift sale, I stopped at a yard sale, in a doctor's office parking lot. The ladies all wore dresses, and I've been wearing skirts for about a year, so I picked up some clothes for me. About the time I got home, Daughter #3 called and was ready to drop off GrandBoy for the weekend. She brought him over, and talked to her Dad about what she needed to work on at the trailer tomorrow. She went over to drop off some appliances and paint the cabinets. She hopes to move in the first of the month. Yesterday was Pappy's 2nd annual retirement party. Statistics say that police officers usually only live about five years after they retire. Pappy has been retired a year October 1. He says he is having a party every year the first five years, to break the curse! Everyone had a great time. GrandBoy thinks anywhere there are men, he is suppose to be there too. So he was at the party, too. This morning we went to church. Daughter #1 took GrandBoy with her to Sunday school, and I went for services. I have fibroid tumors in my uterus. I look pregnant, and strangers ask when I am due. When I start my period, the first day is a killer. I say that I only have one bad day a month. My husband says that my bad days are rolling around more often than they used to. So anyway, today was a bad day for me, pain wise. But I can tell it is easing now, and tomorrow will be OK. The only cure, per the doctors, is a hysterectomy. Because of the size of my uterus and the number of tumors, I would be in the hospital for about five days for major surgery, and I would not be able to drive for 6 -8 weeks. I just don't feel like I can do all that right now. We are very busy people, and I take care of my grandson a lot. Maybe in a year or two, when he doesn't need to be held or chased down, I will feel able to do the surgery. But right now, I don't feel I can devote the time and energy to it. Also, I am self-employed, so if I don't work, I don't get paid. That is another reason. I've been like this two years. I was doing really well with taking some supplements and following an organic diet to control the growth of the tumors, and I lost a lot of weight in the process. But when we had a tornado here in April, we were without electricity for a week, and I got off my schedule. I have not really gotten back on it. So I need to make an effort to do that and be healthier. The tumors had shrank and I was doing well. Now they are growing again, and so am I. Sorry to go off on a rabbit trail. I don't know what possessed me to go into all that. Earlier today I just laid around. But this evening I had a good spell, and cleaned up a little. Tomorrow after work, I will start our wine making. I thought we still had plenty from last year, but we are down to about 6 bottles. I also have some apples I need to can. 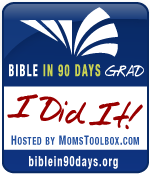 Saturday was day 90 of Bible in 90 Days. I am half way through Luke. So I will be finished in a week or sooner, but I didn't make the 90 days this time. This will be the 4th time I've read the Bible through. I'm so happy for all the ones who were able to finish. 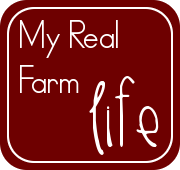 It is a wonderful program and very encouraging if you decide to try it in the spring. So that was our weekend. It was warm here, and a little cool at night. The trees are beginning to turn and lose their leaves. And the deer hunters are driving along our property lines to the woods behind us looking for their next buck.